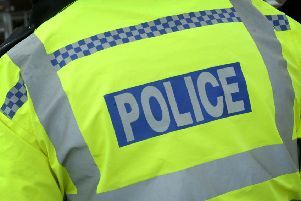 Police are appealing for any information following a number of incidents reported in the Sleaford area. Overnight on February 11-12, the registration plate was stolen from a motorcycle parked on Lincoln Road in Leasingham. Details of the registration number are PN** LKV. Refer to incident 213 of 12/02/2015. Between 7-9pm hours on Friday February 27, some solar lights have been stolen from a garden on High Street, South Kyme. Refer to police incident number 97 of 28/02/2015. Between 12noon and 5.45pm on Sunday March 1 March, a black Vauxhall Astra parked on Newfield Road, Sleaford has been damaged. Refer to police incident 280 of 01/03/2015. Then overnight Sunday to today (March 1-2) there has been a break in to farm buildings on East Street, Helpringham. Refer to police incident 47 of 02/03/2015. If anyone has any information on these incidents, or saw anyone acting suspiciously in these areas when the incidents occurred, contact Lincolnshire Police on 101, quoting the relevant incident numbers. Alternatively you can contact Crimestoppers on 0800 555 111.